I spent years in the dark hole of deep depression, with constant unbidden thoughts of suicide gradually gelling further and further into an actionable plan, more with each episode, and I thought my life was hopeless. I believed I was just born deeply flawed such that no one could ever really love me – and the pain was unbearable. I had actually been a therapist actively working to help other people – but was somehow blind to my own illness. How would I not know that constant thoughts of suicide indicated I needed more than a weekly therapy session? I never told anybody about those thoughts because they were locked safely away when I was “functioning” at work etc. It’s like they were compartmentalized. Even my therapist never knew- because we talked about the problems IN my life, not the underlying cause of those problems – my depression. . . 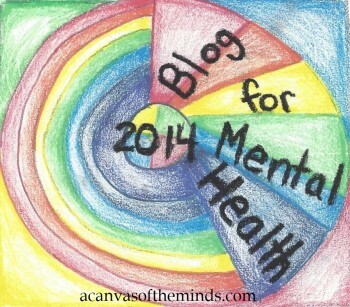 I want people who are depressed to know there is hope, though not magic.I want to shout it from the rooftops. I want families to know that their mother/father/don/daughter/spouse has an illness, no different than diabetes or heart disease, that can be deadly but can also be treated. Read more of Gerry’s story. 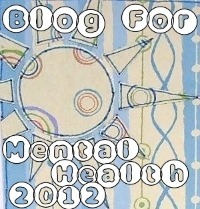 Visit I’ll Blog For Mental Health | Open Hearted Musings. 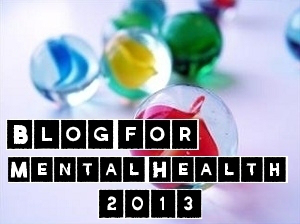 This entry was posted in Open Hearted Musings and tagged Blog For Mental Health 2015, health and wellness, mental health on 2015/03/05 by Ruby Tuesday.